“Sleeping With Lions” goes to national radio! 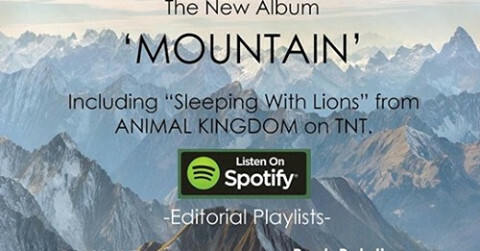 When we released “Sleeping With Lions” in October we had hoped it would do well based off the TNT Animal Kingdom licensing that we had secured with the song. We had no idea of the impact it would make for us in playlists, further licensing with X-Games, ESPN and Monster Energy. We continue to get messages each day from independent DJ’s literally from around the world that have added SWL to their rotations. Because of all of this, we have decided to throw everything we have at it and do a proper radio campaign. Starting March 1st we have hired a company that will help us get “Sleeping With Lions” on more radio stations with the hopeful intent of getting it to break top 20 Active/Mainstream Rock Charts. If you have a radio station that plays rock in your area please contact them and request that “Sleeping With Lions” be added to their rotation. We’ve even made it easy by creating a link to download the track directly below. If you get a station to pick it up, please comment below that station name and area. If Sleeping With Lions cracks that top 20, we are going to randomly choose one of the radio stations that is spinning it and make a $1000.00 donation to a charity of their choice in their area, in their name. This process has been 100% grassroots to this point, but we feel that the amount of success with “Sleeping With Lions” really requires us to get the machine behind it. It truly has been career changing for us and thank each one of you who has added it to your libraries and shared it with your friends. Thank you to WKTG, and WUEV for being at the very beginning and playing it out of the gate. Found out today the song has been picked up by Hard Rock Cafe globally as well, so thank you to our friends at Hard Rock. Now the hard work begins…. 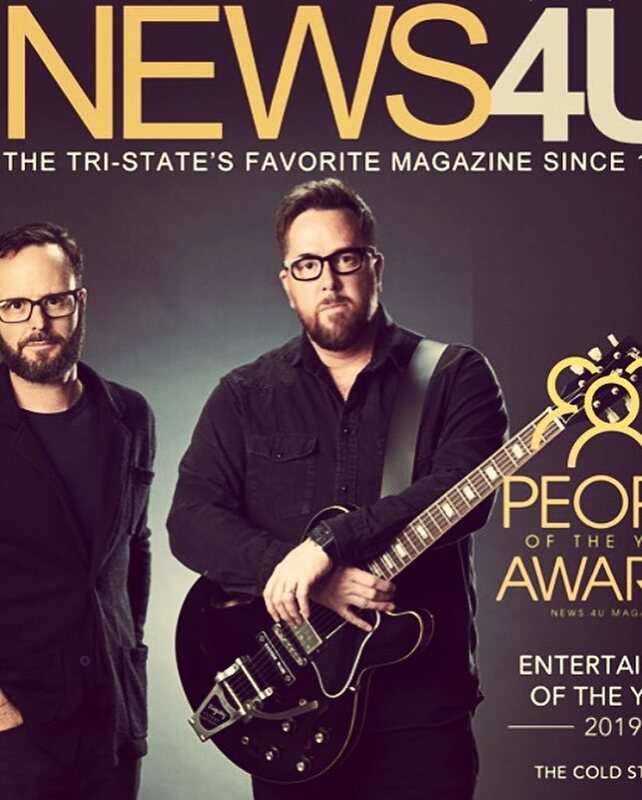 News4U – Tristate Entertainer of the Year! Great write up this month in #news4u naming The Cold Stares as Entertainer of the Year for the tristate. Humbling and very thankful for the local support. 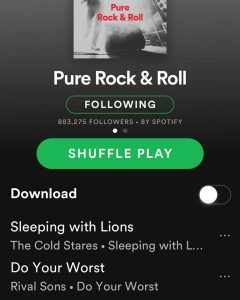 Hop over to Spotify and check out our single “Sleeping With Lions” rocking out spot #1 in the killer Editorial Playlist “Pure Rock & Roll” with our mates #rivalsons and some other killer bands. 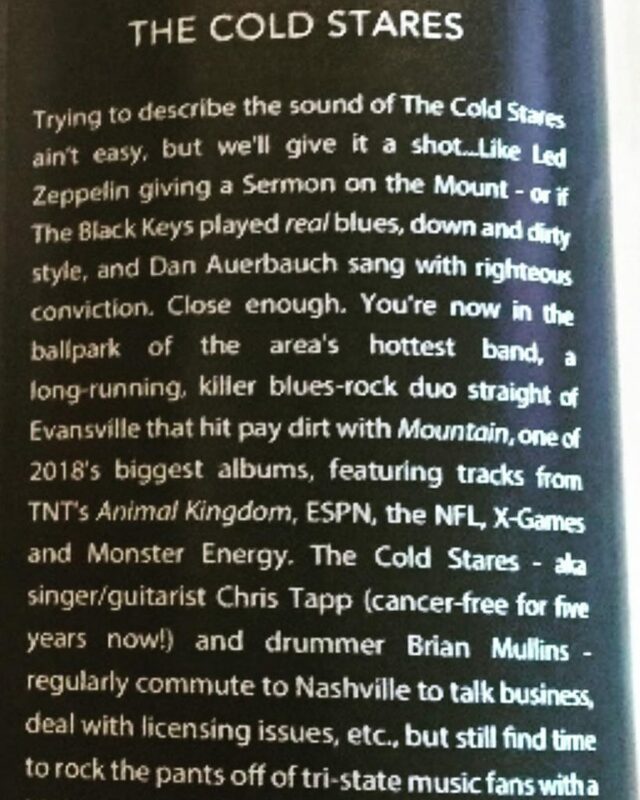 “Sleeping With Lions” has been featured on Animal Kingdom TNT XGames and ESPN in 2018! Humbled again. Hear Mountain now! Congratulations to our man Axell Hodges for winning gold! Congratulations to our man Axell Hodges for winning the gold on this fall’s X-Games on ESPN! The video segment was shot to The Cold Stares new single “Sleeping With Lions” and we are very proud to be part of the winning team. The video from ESPN has seen over a million views online and will be shown throughout 2019. Thank you to Monster Energy, Axell and Ash Hodges, ESPN and X-Games for choosing “Sleeping With Lions”. Hear “Sleeping With Lions” on Spotify now!